Peter W. Thomson 1992 18 72 7096 40 minutes from downtown. 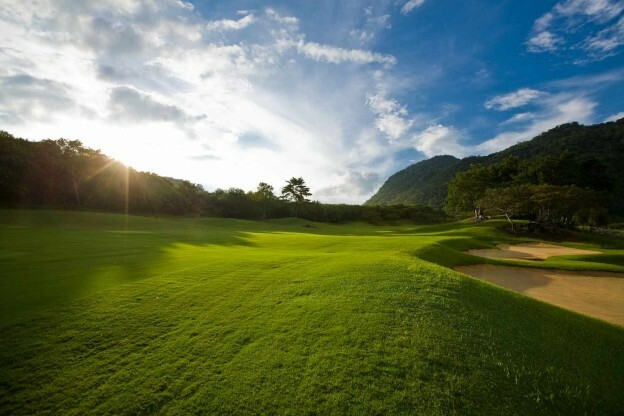 The Rayong Green Valley is one of the most picturesque and popular golf courses in the Pattaya area located next to its younger sister course St. Andrews 2000. This Peter Thomson course features an inspired design with profusion of flora and large rocks, bunker locations challenging the good golfer and some very cunning dog-leg holes. The clubhouse facilities include a Pro Shop with all essential accessories, a restaurant and a large swimming pool.